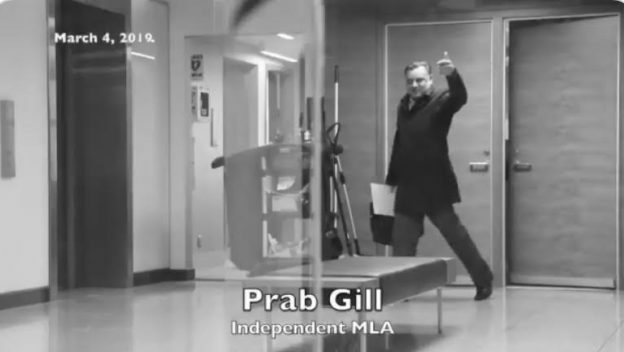 The Alberta election is over. In this episode Dave and Ryan discuss the election results, who Jason Kenney might pick for the United Conservative government cabinet, what is next for Rachel Notley and the New Democratic Party in Alberta, if there is a future for the Alberta Party and the Liberal Party, and offer some thoughts about what might happen next. Thank you for everyone who listened and subscribed to our weekly Alberta Election editions of the Daveberta Podcast. We will be back on regular schedule soon and have a few episode out after next week. And a big thanks to everyone who sent in Elections questions for the past few episodes – they were great and we love answering questions. The Daveberta Podcast is a member of the Alberta Podcast Network powered by ATB Financial. You can listen and subscribe on Apple Podcasts, Google Play, Spotify, Stitcher, or wherever you find podcasts online. And thanks again to our producer, Adam Rozenhart, for making us sound so good. 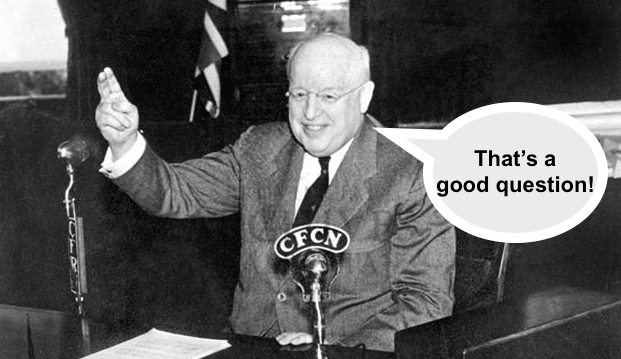 This entry was posted in Daveberta Podcast and tagged Alberta Election 2019, Alberta Election Podcast, Alberta Liberal Party, Alberta NDP, Alberta Party, Alberta Podcast, Alberta Politics Podcast, Dave Cournoyer, Daveberta Podcast, David Khan, Jason Kenney, Rachel Notley, Ryan Hastman, Stephen Mandel, United Conservative Party on April 19, 2019 by Dave Cournoyer. In this episode Dave and Ryan discuss the huge turnout at the advance polls, some of the key races to watch on election night, and recap of the final days of the campaign. We also dive into the mailbag to answer some great questions from our listeners. And because we couldn’t help ourselves, we talk about the return of Game of Thrones (no spoilers). Thank you for listening and to everyone who sent in questions this week! Watch the Alberta Election results on the big screen! Dave is excited to be hosting an election night panel with past Daveberta Podcast guest co-hosts Natalie Pon and David Climenhaga on April 16 at the Metro Cinema (Garneau Theatre) in Edmonton (8712 109 Street). Doors open at 7:00 p.m. and the panel will start around 7:20 p.m. and go until the polls close at 8:00 p.m., then you can watch the election results stream in on the big movie screen. There is a bar. Admission is free. Hope to see you there! This entry was posted in Alberta Politics, Daveberta Podcast and tagged Alberta Election 2019, Alberta Election Candidate Nominations, Alberta Liberal Party, Alberta NDP, Alberta Party, Alberta Podcast, Alberta Podcast Network, Alberta Politics Podcast, Andrew Scheer, Banff-Kananaskis, Calgary-Mountain View, Cam Westhead, Danielle Larivee, Daveberta Podcast, David Khan, Derek Fildebrandt, Doug Ford, Fort Saskatchewan-Vegreville, Game of Thrones, Jason Kenney, Jeff Wedman, Jessica Littlewood, Jon Carson, Justin Trudeau, Lesser Slave Lake, Lethbridge-West, Marie Renaud, Nicole Williams, Rachel Notley, St. Albert, Stephen Mandel, United Conservative Party on April 15, 2019 by Dave Cournoyer. In this episode Dave and Ryan discuss the latest Alberta’s election developments, including the fallout from Mark Smith’s homophobic comments, Jason Kenney’s interview with Charles Adler and how it might impact voters on April 16, the televised leaders’ debate, and what Rachel Notley needs to do in the final week of Alberta’s 2019 election. We also dive into the giant mailbag of questions sent in by our listeners and we share our results from the CBC Vote Compass survey. And we were thrilled to welcome back our producer, Adam Rozenhart! A big thanks to our excellent guest producer, Chris Chang-Yen Phillips, who kept us on track for the last two episodes. Alberta’s provincial general election is on Tuesday, April 16, 2019. Voting stations on Election Day will be open from 9:00 a.m. to 8:00 p.m. on April 16. Advance voting stations will be open on April 9, 10, 11, 12 and 13. Visit Elections Alberta to find the location of your voting station. Voters who will be away from their electoral division on Election Day and during the advance voting days can request a Special Ballot from Elections Alberta. This entry was posted in Daveberta Podcast and tagged Adam Rozenhart, Alberta Election 2019, Alberta NDP, Alberta Party, Alberta Podcast, Alberta Podcast Network, Alberta Politics Podcast, CBC Vote Compass, Charles Adler, Chris Chang-Yen Phillips, Dave Cournoyer, Daveberta Podcast, David Khan, Jason Kenney, Jen Gerson, Karri Flatla, Keith Gerein, Lethbridge-West, Mark Smith, Rachel Notley, Ryan Hastman, Shannon Phillips, Stephen Mandel, The Current, United Conservative Party on April 8, 2019 by Dave Cournoyer. Episode 32: GSAs, GSAs, GSAs. Week 2 of Alberta’s Election. 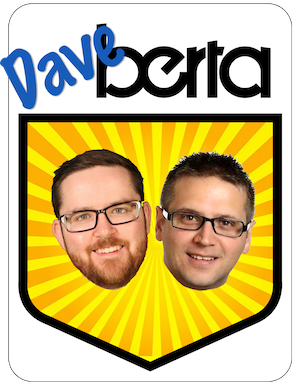 Alberta’s provincial election is 16 days away and for the duration of the campaign, we are going to be recording a new episode of the Daveberta Podcast each week. In this episode Dave and Ryan talk about the United Conservative Party reopening the Gay-Straight Alliance debate, the transphobic comments that led to the departure of Calgary-South East UCP candidate Eva Kiryakos, Rachel Notley’s plan to expand Alberta’s $25/day childcare program and the Liberal Party‘s proposal to introduce a Harmonized Sales Tax and reform the electoral system. We also look ahead to this week’s televised leaders’ debate and whether Freedom Conservative Party leader Derek Fildebrandt should be allowed to join in the fun. We also spend some time focusing on a few races we are watching. This week we look at Lethbridge-East and Lethbridge-West. The Daveberta Podcast is a member of the Alberta Podcast Network powered by ATB Financial. The Network includes more than 30 made-in-Alberta podcasts, including the excellent Modern Manhood Podcast and Overdue Finds. And a big thanks to our excellent guest producer, Chris Chang-Yen Phillips, who kept us on track and made this episode sound so great. This entry was posted in Daveberta Podcast and tagged $25 per day childcare, Alberta Election 2019, Alberta Election Leaders' Debate, Alberta Liberal Party, Alberta NDP, Alberta Podcast Network, ATB Financial, Calgary-South East, Chestermere-Strathmore, Chris Chang-Yen Phillips, Dave Cournoyer, Daveberta Podcast, Derek Fildebrandt, Eva Kiryakos, Freedom Conservative Party, Gay-Straight Alliances, Jason Kenney, Leela Aheer, Lethbridge-East, Lethbridge-West, Maria Fitzpatrick, Rachel Notley, Ryan Hastman, Shannon Phillips, United Conservative Party on March 31, 2019 by Dave Cournoyer. With the Speech from the Throne coming on March 18 and Premier Rachel Notley expected to call an election soon afterward, Dave and Ryan discuss how the parties are trying to frame the upcoming election, Brian Jean’s revenge, the creepy Prab Gill video, Joe Anglin’s candidacy, the SNC-Lavalin scandal and the state of the Liberal Party of Canada in Alberta, and more. They also delve into the latest developments in the kamikaze mission investigation and answer questions sent in by listeners. And a huge thanks to our producer, Adam Rozenhart, who keeps us on track and makes each episode of the Daveberta Podcast sound so great. This entry was posted in Daveberta Podcast and tagged Adam Rozenhart, Alberta Election 2019, Alberta Election Candidate Nominations, Alberta NDP, Alberta Party, Alberta Podcast Network, Alberta Provincial Sales Tax, Amarjeet Sohi, ATB Financial, Calgary-Beddington, Candidate nominations, Dave Cournoyer, Daveberta Podcast, Green Party of Alberta, Jason Kenney, Jason Nixon, Joe Anglin, Justin Trudeau, Prab Gill, Rachel Notley, Randy Boissonnault, Randy Kerr, Rimbey-Rocky Mountain House-Sundre, Ryan Hastman, SNC-Lavalin, Stephen Mandel, United Conservative Party on March 11, 2019 by Dave Cournoyer. We are in pre-election mode in this episode as Dave and Ryan discuss the health care and education curriculum debate between the New Democratic Party and United Conservative Party, the unsurprising recent Trans Mountain Pipeline report from the National Energy Board, and the latest from the SNC-Lavalin/Justin Trudeau/Jody Wilson-Raybould fiasco. 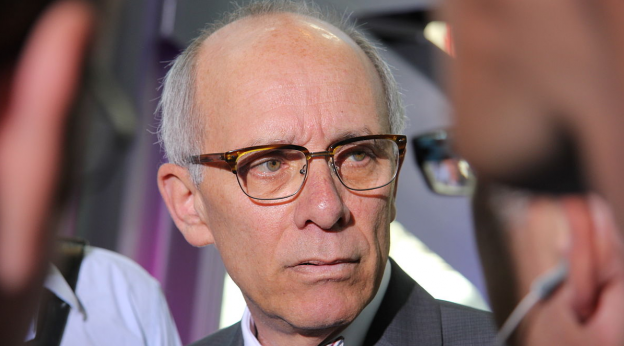 We also delve into the latest nomination news, including the fallout from the Len Rhodes appointment in Edmonton-Meadows, the NDP nomination contest in that district, and Alberta Party leader Stephen Mandel’s candidate ban. We also dive into our mailbag to answer questions sent to us by our listeners. This entry was posted in Alberta Politics, Daveberta Podcast and tagged Adam Rozenhart, Alberta Election 2019, Alberta Election Candidate Nominations, Alberta NDP, Alberta Podcast, Alberta Podcast Network, Alberta Politics Podcast, Amarjeet Sohi, Arundeep Sandhu, ATB Financial, Candidate nominations, Chand Gul, Dave Cournoyer, Daveberta Podcast, Denise Woollard, Edmonton-McClung, Edmonton-Meadows, Education Curriculum, Health Care, Jason Kenney, Jasvir Deol, Jody Wilson-Raybould, Justin Trudeau, Len Rhodes, National Energy Board, Rachel Notley, Randy Boissonnault, Ryan Hastman, SNC-Lavelin, Stephen Mandel, Trans Mountain Pipeline Project, United Conservative Party on February 25, 2019 by Dave Cournoyer. The Friday night bombshell that hit Stephen Mandel and the Alberta Party, the likelihood of Premier Rachel Notley tabling a budget before calling the 2019 election and how much influence the anti-abortion group the Wilberforce Project actually has over United Conservative Party nominations. 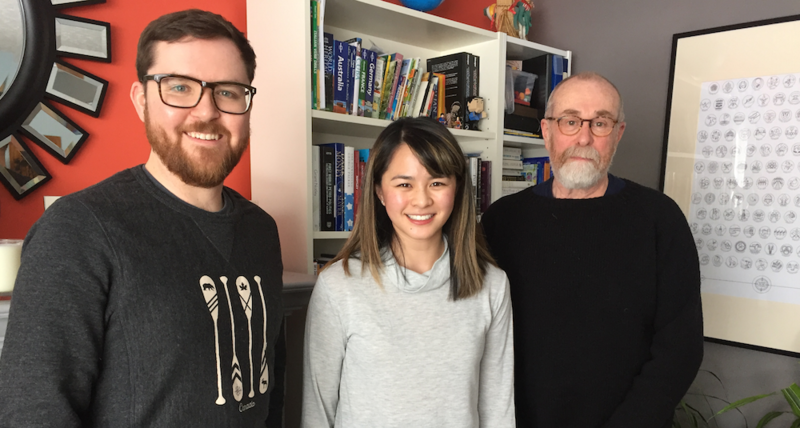 These are just a few of the hot topics Dave Cournoyer discussed with special guests Natalie Pon and David Climenhaga in this episode of the Daveberta Podcast. They also delved into the latest candidate nomination news, including recent UCP votes in Calgary-North and Lethbridge-East, former CBC reporter John Archer’s candidacy in Edmonton-South West, and whether we are ever going to find out the true identity of the mystery UCP candidate in Red Deer-South. They also opened the mailbag to answer some of the questions you have sent us over the past few weeks. Dave Cournoyer with special guests Natalie Pon and David Climenhaga. This entry was posted in Alberta Politics, Daveberta Podcast and tagged Adam Rozenhart, Alberta Election 2019, Alberta NDP, Alberta Party, Alberta Podcast, Alberta Podcast Network, Alberta Politics Podcast, Arundeep Sandhu, ATB Financial, Calgary-North, Dave Cournoyer, Daveberta Podcast, David Climenhaga, Don Braid, Edmonton-McClung, Graham Thomson, Greg Clark, Jason Kenney, John Archer, Laurie Mozeson, Leaders Debate, Lethbridge-East, Marie Renaud, Muhammad Yaseen, Natalie Pon, Nathan Neudorf, Paul Frank, Rachel Notley, Red Deer-South, Stephen Mandel, Thomas Lukaszuk, United Conservative Party, Wilberforce Project on February 11, 2019 by Dave Cournoyer. Episode 27: When is Alberta’s next election? 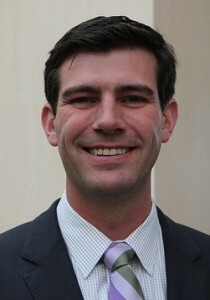 And will Don Iveson be the next Prime Minister of Canada? 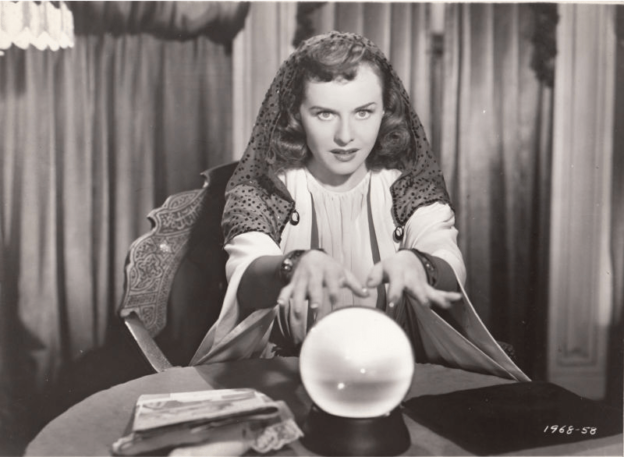 In this episode of the Daveberta Podcast, we stare deep into our crystal ball to figure out when Premier Rachel Notley will call Alberta’s next election, dissect some of the key messages from the party leaders, discuss how the United Conservative Party reacted to the controversy over Jason Kenney’s residency, and muse about whether Edmonton mayor Don Iveson will be the next Prime Minister of Canada. Dave and Ryan also delve into the latest candidate nomination news, including a handful of new NDP contested races. We also answered a long list of questions sent in by listeners on topics ranging from provincial sales taxes, battleground ridings, municipal infrastructure funding, and more. You can listen and subscribe on Apple Podcasts, Google Play, Stitcher, or wherever you find podcasts online. This entry was posted in Alberta Politics, Daveberta Podcast and tagged Adam Rozenhart, Alberta Election 2019, Alberta Election Candidate Nominations, Alberta NDP, Alberta Podcast, Alberta Podcast Network, Alberta Politics Podcast, Amanda Chapman, ATB Financial, Calgary-Beddington, Calgary-North West, Candidate nominations, Chand Gul, Dave Cournoyer, Daveberta Podcast, Denise Woolard, Don Iveson, Edmonton-Centre, Edmonton-Meadows, Edmonton-South West, Estefania Cortes-Vargas, Grande Prairie, Heather Erlen, Jagmeet Singh, Jason Kenney, John Archer, Justin Trudeau, Melissa Byers, Moira Vane, Rachel Notley, Randy Boissonnault, Ryan Hastman, Sandra Jansen, Strathcona-Sherwood Park, Todd Russell, United Conservative Party on January 28, 2019 by Dave Cournoyer. 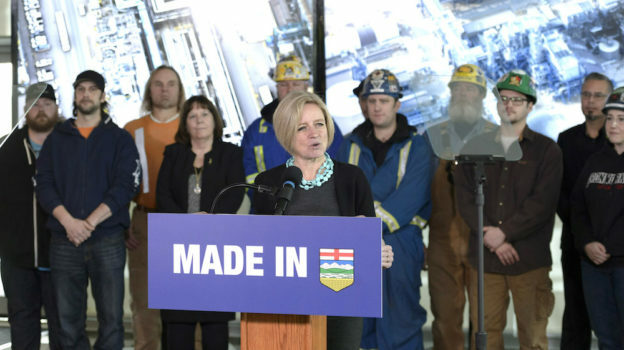 Controversy over the Bighorn Country proposal and Premier Rachel Notley’s oil refinery announcement are where we started the discussion in this episode. Dave and Ryan also delved into the latest nomination news, the results of the Daveberta Best of Alberta Politics 2018 Survey, and answer a long list of questions sent in by the listeners of the pod. You can listen and subscribe on Apple Podcasts, Google Play, Stitcher, or wherever you find podcasts online. We would love to hear what you think of this episode, so feel free to leave a positive review where you download, comment on the blog, Facebook or Twitter or send us an email at podcast@daveberta.ca. This entry was posted in Daveberta Podcast and tagged Adam Rozenhart, Alberta Election 2019, Alberta Election Candidate Nominations, Alberta Podcast, Alberta Podcast Network, Alberta Politics Podcast, ATB Financial, Best of Alberta Politics 2018, Bighorn Country Proposal, Dave Cournoyer, Daveberta Podcast, Greg Clark, Janis Irwin, Jessica Littlewood, Oil Refineries, Rachel Notley, Ryan Hastman, Shaye Anderson on January 14, 2019 by Dave Cournoyer. We asked listeners to send us their Alberta politics questions and we dedicated our final episode of 2018 to answering them! We kicked off this episode with a game of “is it more likely,” where we discuss different potential scenarios in Alberta politics in 2019 and then we dove into the mailbag to answer questions on topics including Alberta separatism, political polarization and public policy, the state of opinion in the mainstream media, and whether Twitter is an effective way to discuss politics. As this is our last episode of 2018, our first season, we want to thank everyone who has listened, downloaded and subscribed to the Daveberta Podcast over the past year. We also want to thank all of our special guest co-hosts who joined us on the podcast in 2018 – Kyla Fisher, Lianne Bell, Janelle Morin, Kate Kerber, Erika Barootes, Janis Irwin, Natasha Soles, Jamil Jivani and Kristin Raworth– we loved having you on the pod! We really appreciate all of your feedback and and questions and we are looking forward to recording new episodes with some great guests in 2019. With a provincial and federal election expected within the next 10 months, it will be a busy year ahead! And as always, we owe a huge thanks to our producer, Adam Rozenhart, who keeps us on track and makes each episode of the Daveberta Podcast sound so great. Thank you for listening. Merry Christmas and Happy New Year! You can listen and subscribe on Apple Podcasts, Google Play, Stitcher, or wherever you find podcasts online. We would love to hear what you think of this episode, so feel free to leave a review where you download, comment on the blog, Facebook or Twitter or send us an email at podcast@daveberta.ca. This entry was posted in Daveberta Podcast and tagged Adam Rozenhart, Alberta Election 2019, Alberta NDP, Alberta Party, Alberta Podcast, Alberta Podcast Network, Alberta Politics Podcast, Alberta Politics Questions and Answers, ATB Financial, Dave Cournoyer, Daveberta Podcast, David Khan, Derek Fildebrandt, Erika Barootes, Freedom Conservative Party, Jamil Jivani, Janelle Morin, Janis Irwin, Jason Kenney, Kate Kerber, Kristin Raworth, Kyla Fisher, Lianne Bell, Natasha Soles, Rachel Notley, Ryan Hastman, Stephen Mandel, United Conservative Party on December 24, 2018 by Dave Cournoyer. Episode 24: Oil, Pipelines and Alberta’s next election. 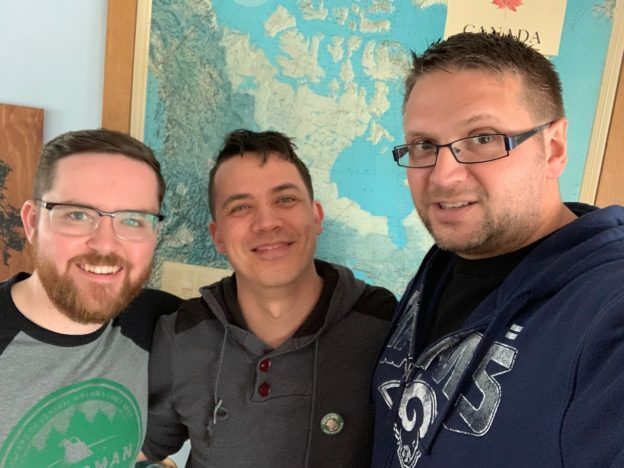 The First Minister’s Meeting, oil prices, and Premier Rachel Notley’s performance on the national stage are where we started the discussion in this episode. 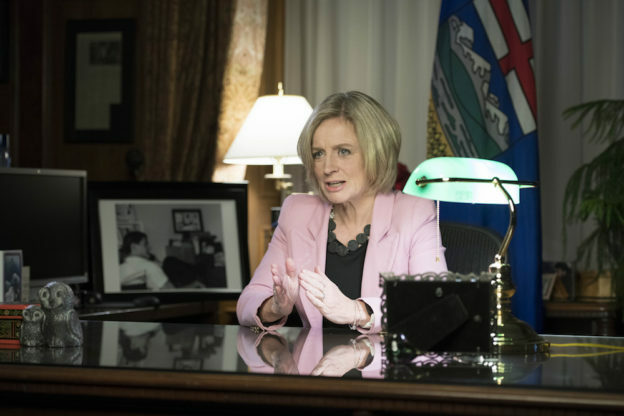 Dave and Ryan also delved into the latest nomination news and what 2019 holds for Alberta politics, including when the next provincial and federal elections could be called. We also discuss our choices for the Daveberta Best of Alberta Politics 2018 Survey. Submissions will close on December 12, 2018 at 12:00pm and the top three choices in each category will be included in a round of voting starting on December 13, 2018. Voting will be open until December 19 and the winners will be announced on December 20, 2018. Thanks to everyone who sent us questions for this episode. We had so many great questions that we have recorded a special episode dedicated to answering your questions that will be published for your listening pleasure on December 24, 2018. This entry was posted in Alberta Politics, Daveberta Podcast and tagged Adam Rozenhart, Alberta Election 2019, Alberta Election Candidate Nominations, Alberta Podcast, Alberta Podcast Network, Alberta Politics Podcast, ATB Financial, Best of Alberta Politics 2018, Calgary-East, Calgary-Mountain View, Canada Election 2019, Caylan Ford, Dave Cournoyer, Daveberta Podcast, David Khan, David Shepherd, David Swann, Edmonton-Highlands-Norwood, First Ministers Meeting, Janis Irwin, Jason Kenney, Kathleen Ganley, Marie Renaud, Nathan Cooper, Peter Singh, Rachel Notley, Ryan Hastman, Sarah Hoffman, St. Albert, Trans Mountain Pipeline Project, Trevor Horne, United Conservative Party on December 10, 2018 by Dave Cournoyer. 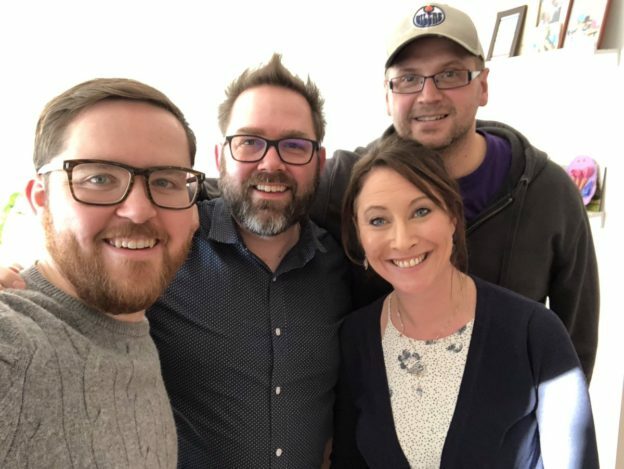 Kristin Raworth joined Dave and Ryan on the podcast this week as we discussed women in politics and how Alberta’s political parties are addressing harassment and sexual violence. We also delved into the latest political news about Alberta’s new municipal election finance legislation, Robyn Luff and the plight of disgruntled backbenchers, the fallout from John Carpay’s most-recent controversial comments, and some of the latest candidate nomination news. The Daveberta Podcast is a member of the Alberta Podcast Network powered by ATB Financial. The networks includes more than 30 Alberta-made podcasts. We would love to hear what you think of this episode, so feel free to leave a review where you download, comment on the blog, Facebook or Twitter or send us an email at podcast@daveberta.ca. This entry was posted in Alberta Politics, Daveberta Podcast and tagged Adam Rozenhart, Alberta Election 2019, Alberta Election Candidate Nominations, Alberta NDP, Alberta Podcast, Alberta Podcast Network, Alberta Politics Podcast, ATB Financial, Bill 23: An Act to Renew Local Democracy in Alberta, Dave Cournoyer, Daveberta Podcast, Jason Kenney, John Carpay, Kristin Raworth, Rachel Notley, Robyn Luff, Ryan Hastman, United Conservative Party, Women in Alberta Politics on November 19, 2018 by Dave Cournoyer. This month marks one year since we launched the Daveberta Podcast. With tens of thousands of downloads over the past twelve months, we are sending a big thank you to everyone who has listened, subscribed, shared and reviewed our podcast. To mark this anniversary, we want to hear from you! Send us a note or an audio file of yourself wishing the podcast a happy birthday, or chastising Dave for not being left-wing enough or Ryan for being too right-wing or Adam for being too handsome. We also want you to tell us what your wishes and hopes are for Alberta in the next year. Your submission of an emailed written message or MP3 will enter you to win a fabulous politically-themed prize (which we’re still sourcing). If we like your message we will include it in an upcoming episode of the podcast. Send your grapes and gripes to podcast@daveberta.ca. This entry was posted in Alberta Politics and tagged Adam Rozenhart, Alberta Podcast, Alberta Politics Podcast, Dave Cournoyer, Daveberta Podcast, Ryan Hastman on November 16, 2018 by Dave Cournoyer.